The City of Mansfield has announced the offering of a new community program within the Mansfield Division of Police. The Teen Driver Traffic Cone Program is designed to assist parents in helping their children, which possess a temporary driver’s permit, to become more confident drivers. Teen drivers will be able to practice the state’s maneuverability exam with oversight from their parent or guardian. The program is free, and it is focused on creating safer drivers and discouraging texting while driving. Information packets will be available in the Traffic Office. Adults may sign out a set of (5) traffic cones for a tenday period in order to assist their children in preparing for the driver’s exam. 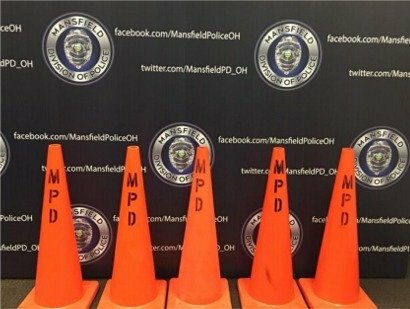 The cones can be signed out by contacting the Mansfield Police Traffic Section or calling 419-755-9738 Monday through Friday from 8:00 AM to 3:00 PM.